Greg Barnes of Inside Carolina on 247Sports breaks down North Carolina's NCAA Tournament run after losing to Auburn in the Sweet 16. Greg Barnes of Inside Carolina on 247Sports lays out North Carolina's path to the Final Four. 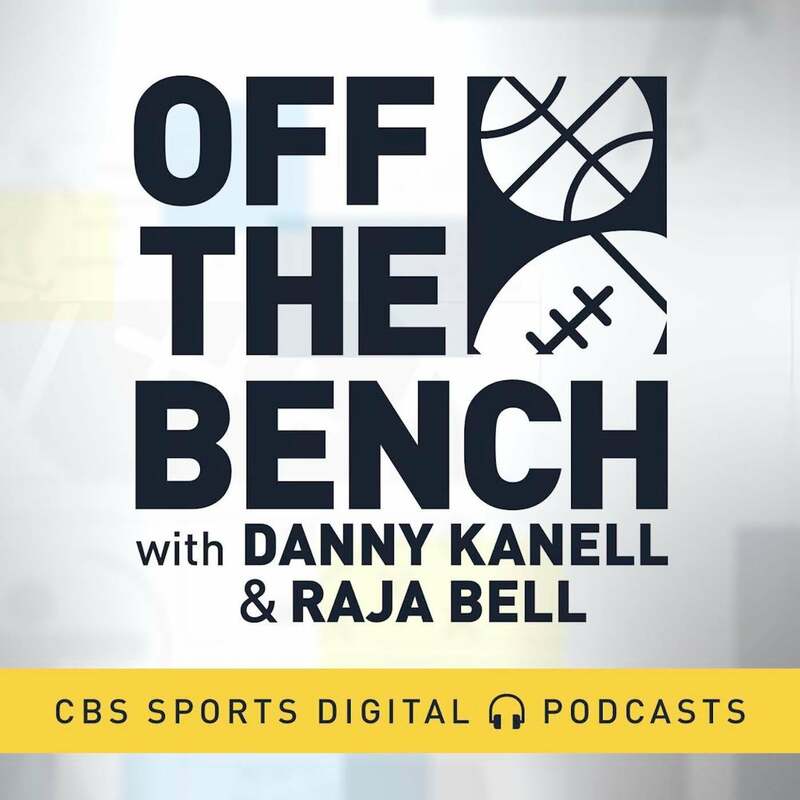 Matt Norlander and Gary Parrish join Erik Kuselias to discuss teams that are getting hot at the right time and cold at the wrong time in college hoops, presented by Coors Light. Dan Bonner caught up with North Carolina senior forward Luke Maye after the Tar Heels' double-digit win over Florida State at home. On CBS Sports HQ, Kevin Harlan and Dan Bonner break down all the action between the Florida State Seminoles and North Carolina Tar Heels. Local reaction to the Zion Williamson injury from Durham. Matt Norlander reacts to Zion Williamson being diagnosed with mild right knee sprain. On CBS Sports HQ, Hakem Dermish breaks down the highlight between No. 19 Kentucky and No. 9 North Carolina from the CBS Sports Classic, presented by Rocket Mortgage. On CBS Sports HQ, Brad Nessler and Bill Raftery recap the action of Ohio State vs. UCLA and Kentucky vs. North Carolina in both games of the CBS Sports Classic from the United Center. 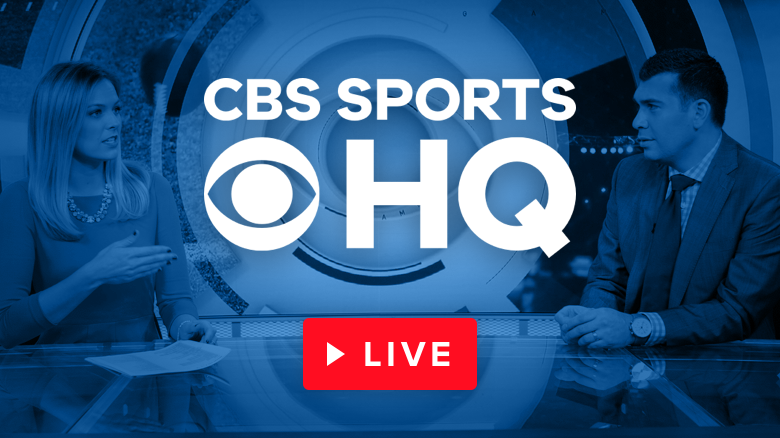 On CBS Sports HQ, CBS Sports college basketball writer Chip Patterson joins Casey Keirnan to preview the big matchup between Kentucky and North Carolina. How long will Roy Williams be at UNC? The junior point guard had eight assists and zero turnovers on Friday against Tennessee Tech. Nassir Little described how his head coach acted following UNC's lackluster defensive effort against Stanford. Inside Carolina on 247Sports' Greg Barnes shares if any North Carolina's point guards have started to create some separation as the go-to guy. Will defense be an issue for UNC hoops? Inside Carolina on 247Sports' Greg Barnes breaks down North Carolina's defense and if it will be a liability moving forward. Inside Carolina on 247Sports' Greg Barnes details if North Carolina's Cam Johnson can keep up his impressive pace to start the season. The UNC freshman guard/wing scored eight points (4-for-4 shooting) in the win over Stanford. The UNC forward scored 16 points in North Carolina's 80-72. UNC will be relying on the freshman in its season opener against Wofford. The Tar Heels will play in Spartanburg on Tuesday evening to open the 2018-19 basketball season. CHAPEL HILL, N.C. -- Sophomore post player Sterling Manley shares his thoughts on the season to come with reporters on media day. Was there any moment when you said, "Man, this is going to be different this year?" Just like working out in the summer? Just working out with the guys. Like my conditioning test, I can push through certain things that I haven't been able to push through before. I was like, "Dang, we're going to be special, it's starting to come along. As a freshman you get tired, and you can't go longer; as a sophomore you realize that you get tired but you still have a little bit left. You know you are going to have the same conditioning. You know we are going to run the same plays. So you know how to push through or coast it out or whatever you want to say. So just learning those things, and this game starts to become slower. Little things are coming to me, and I'm like, "Yeah, this is going to be a special season." There is an opening for the big man spot, whether you go two big or not. What do you think about that and what you can do with Garrison (Brooks) or Nassir (Little)? What is going on there for that big man spot? We are just competing every day at practice. All we have to do is audition for Coach (Williams) every day. When we have practice in 30 minutes it is another audition to show Coach what I can do and just have him trust me more. We are just competing and showing Coach what we can do so when it comes to that game time when that lineup is called you hope your name is in it. CHAPEL HILL, N.C. -- Senior guard Kenny Williams shares his thoughts on the season to come with reporters on media day. How does it feel to be the senior guy on the team? You are the guy that everybody looks up to now. It's weird-I feel like I just got here and put this jersey on for the first time. I feel like it happened two weeks ago. It feels weird, but I'm ready for it. I feel like the guys that were here before me, the guys that I looked up to prepared me for this moment. Your coming out moment was in the ACC when you played that eight-minute stretch against Brogdin, I believe. I remember talking to you afterward and you had this look like, "I'm really here doing this." Can you go back to that moment and translate the experience you have had since then? I've had so many more experiences where I'm like, "I'm playing at North Carolina" since then. Sometimes I still can't wrap my head around it. Just to be able to be here and put this jersey on and play at this university, for this school, has been big, but going back and looking back-honestly, this whole thing has been a blur. I can't tell you what I was feeling and what was going through my head at that moment. So much has happened since then. Inside Carolina beat reporter Greg Barnes and basketball analyst Rob Harrington are doing player-by-player previews of the key contributors on the 2018-19 North Carolina basketball roster. They will take a thumbnail look at what to expect this season. Senior 6-4 guard Kenny Williams from Midlothian, Virginia has scored 607 career points as a Tar Heel. As a junior he was fourth on the team in scoring at a career-high 11.4 points per game, second on the team in three-point percentage (.402), and was second with 72 three-pointers. He tied for the team lead in assist/error ratio at 2.2 (88/40) and led the team with 10 defensive player of the game awards and 34 charges drawn. Inside Carolina beat reporter Greg Barnes and basketball analyst Rob Harrington are doing player-by-player previews of the key contributors on the 2018-19 North Carolina basketball roster. They will take a thumbnail look at what to expect this season. The 6-8 senior from Huntersville, N.C. followed up his coming-out party against Kentucky in the 2017 NCAA Tournament with a 2018 Third-Team All-America (AP, Sporting News, USA Today, NBC Sports) performance in which he averaged 16.9 points and 10.1 rebounds. He earned First-team All-ACC and was named the league's Most Improved Player. He was the Skip Prosser Award winner as the ACC's top scholar-athlete in men's basketball, the fourth player to earn first-team All-ACC honors and win the Prosser Award in the same season. The Tar Heels took the court in front of assembled media on Tuesday in the Smith Center. Inside Carolina beat reporter Greg Barnes and basketball analyst Rob Harrington are doing player-by-player previews of the key contributors on the 2018-19 North Carolina basketball roster. They will take a thumbnail look at what to expect this season. The 6-9 graduate student (master's degree in sports administration) who transferred from Pittsburgh with two years of eligibility remaining is playing in his second season as a Tar Heel wing. Last season he was second on the team in free throw percentage (.847), third in scoring (12.4) and rebounding (4.7), made 34.1 percent (47-138) of his shots from three-point range, and had 60 assists and 27 turnovers (2.2), which tied the best assist/turnover ratio on the team. The head coach of the North Carolina Tar Heels is searching for a new starting point guard for the 2018-19 season. The head coach of the North Carolina Tar Heels lost two excellent leaders in Joel Berry and Theo Pinson off of last year's team. The head coach of the North Carolina Tar Heels comes out strongly in denying any involvement with the corruption that goes on in the college basketball world. Inside Carolina beat reporter Greg Barnes and basketball analyst Rob Harrington are doing player-by-player previews of the key contributors on the 2018-19 North Carolina basketball roster. They will take a thumbnail look at what to expect this season. A 6-11 sophomore post player from Pickerington, Ohio (Pickerington Central H.S. ), Sterling Manley started the season showing that he had lots of room for improvement, and over the course of the season he closed the gap, showing glimpses of what he can do. He averaged 5.4 points and 3.6 rebounds in 10.0 minutes per game, hitting 56.6 percent of his shots from the floor (highest on the team among players averaging 10 minutes per game.) He was fourth on the team in free throw attempts (54 for 78) and shot 81.6 percent in ACC games. Registered his first double-double with 16 points and 13 rebounds in just 17 minutes against Bucknell. Inside Carolina beat reporter Greg Barnes and basketball analyst Rob Harrington are doing player-by-player previews of the key contributors on the 2018-19 North Carolina basketball roster. They will take a thumbnail look at what to expect this season. The first 2018 UNC Basketball freshman to commit to the Tar Heels was Rechon "Leaky" Black is 6-7 native Tar Heel Rechon "Leaky" Black from Concord, N.C. who graduated from Cox Mill H.S. and played his junior year at Montverde Academy in Montverde, Florida. He averaged 13.4 points, 5.7 rebounds, 3.2 assists and 3.2 steals and was the team's defensive MVP in leading Cox Mill to the 2018 3-A state championship. Inside Carolina beat reporter Greg Barnes and basketball analyst Rob Harrington are doing player-by-player previews of the key contributors on the 2018-19 North Carolina basketball roster. They will take a thumbnail look at what to expect this season. Native Tar Heel 6-5 freshman Coby White comes to the University of North Carolina as a 2018 McDonald's All-America from hometown Goldsboro and attended Greenfield School in Wilson where he averaged 31 points, 10 rebounds, and eight assists as a senior on his way to setting a new North Carolina high school career scoring record of 3,573 points. He shot 45 percent from three point range and 87 percent from the free throw line as a senior and set the single season state scoring record of 1,069 points as a junior. Other accolades include the following: all-tournament honors at the FIBA Americas U-18 Championship played in June 2018 in Canada where he was the leading scorer at 15,3 ppg on the way to a 6-0 record and the gold medal; two-time boys Gatorade Player of the Year for North Carolina; 2018 Associated Press player of the Year; 2018 Charlotte Observer Player of the Year; three-time North Carolina All-State; scored 21 points in the 2018 Jordan Brand Classic; first team Max Prep All-America; second-team USA Today All-American. The former Tar Heel was back in town as the Charlotte Hornets practiced in the Dean E. Smith Center on Tuesday afternoon. Here is a look at the best plays from the UNC sophomore in the Bahamas. Here is a look at the best players from UNC's Brandon Robinson in the Bahamas. Here is a look at the best players from UNC sophomore Andrew Platek in the Bahamas. Here is a look at the best players from UNC freshman Coby White in the Bahamas. Here is a look at some of the biggest highlights from senior Luke Maye in the Bahamas. Here is a look at some of the biggest highlights from senior wing Kenny Williams in the Bahamas. Here is a look at freshman wing Nassir Little's biggest highlights in the Bahamas. Here are the five best plays from UNC's trip to the Bahamas. The rising sophomore big man spoke following a strong performance in UNC's second Bahamas game. The Tar Heels are playing two games in the Bahamas this August. The head coach of the Tar Heels spoke to the media following the second game. The senior spoke following UNC's second game in the Bahamas about working with his new teammates. The Tar Heels are playing two games in the Bahamas this August. Here are the highlights from the second game. The sophomore big man spoke to the media following UNC's win in the Bahamas on Friday. The Tar Heels are playing two games in the Bahamas this August. The senior spoke to the media following the first game. The Tar Heels are playing two games this summer in the Bahamas. Here are the best slam dunks from the Tar Heels in the first game. The Tar Heels are playing two August games in the Bahamas this summer. The UNC head coach comments on Luke Maye's testing of the NBA draft waters. UNC head coach Roy Williams downplays the hype of all-star while commenting on his love for his 2018 class. The UNC senior forward comments leadership and what areas of his game he is working to improve heading into the 2018-19 season. The UNC head coach Roy Williams comments on the improvement of sophomore center Sterling Manley and the work he has to put in to take the next step. UNC head coach Roy Williams speaks on moving past the NCAA scandal, losing two critical players, and adding a "gifted" recruiting class. Inside Carolina's Ross Martin went to talk to Leaky Black before he heads to Chapel Hill this summer. Inside Carolina's Ross Martin went to talk to Leaky Black before he heads to Chapel Hill this summer about his relationship with Nassir Little and Coby White. Inside Carolina's Ross Martin went to talk to Leaky Black before he heads to Chapel Hill this summer about his nickname. The future Tar Heel discussed what he's been doing in the offseason to prepare for playing for the Tar Heels. His high school coach also discussed what challenges he'll face in year one. Inside Carolina's Greg Barnes and Ross Martin break down the UNC Basketball roster for the 2018-19 season. CBS Sports HQ's Jorge Andres runs through the highlights between No. 2 UNC and No. 7 Texas A&M. 247Sports college basketball writer Kevin Flaherty joins Casey Kiernan to preview the matchup between North Carolina and Texas A&M. The Tar Heel point guard moved up in the school record books. The Tar Heels took the court in Charlotte on Thursday in front of a friendly crowd of fans and supporters. The Tar Heels showed off some of their best slam dunks at Thursday's open practice in Charlotte. The Tar Heel junior discussed what he has seen and what he knows about Lipscomb ahead of UNC's game tomorrow. The head coach discussed what progress the graduate transfer has made after an injury during the ACC Tournament limited him in practice earlier in the week. The junior forward spoke to reporters at the Spectrum Center in Charlotte on Thursday. The head coach discussed how teams motivate themselves at Tuesday morning's press conference. Greg Barnes and Ross Martin of Inside Carolina give a preview of what UNC's NCAA Tournament run could look like. The senior point guard talked about how although UNC is defending, this year still feels very much like a new team. The senior discussed what that means to him ahead of UNC's NCAA Tournament run. The Tar Heel expects to play on Friday but still gave an update at Tuesday's press conference. The junior guard missed last year's tournament with an injury. He discussed what he learned at Tuesday's press conference. 247Sports college basketball writer Jerry Meyer joins Chris Hassel to preview the matchup between UNC and Lipscomb. On CBS Sports HQ, Chip Patterson joins Hakem Dermish to discuss the West region. The senior wing spoke with reporters following UNC's loss to Virginia on Saturday night. The Carolina freshman breaks down how he and his Tar Heel team have improved during the ACC Tournament. The senior point guard spoke with reporters following UNC's loss to Virginia on Saturday night. The UNC junior knows how good this Carolina team can be as the Tar Heels get set for the NCAAs. The other four starters share their thoughts on what the senior point guard means to the UNC men's basketball team. The senior point guard spoke about building chemistry in tournaments at Monday's press conference in Chapel Hill. The head coach of the Tar Heels is bringing lots of clothing for the ACC Tournament this week in Brooklyn. The Tar Heel senior discussed the biggest area where UNC must improve before the end of the season. The head coach of the North Carolina Tar Heels addressed agents, the NCAA, what reforms he'd like to see and more at Thursday's press conference. The head coach wants to beat Duke, of course, but he wants to beat every team. The pain felt after losing to Miami will be the same if UNC loses to Duke on Saturday, he said at Thursday's press conference. The senior point guard remembers how much zone Duke played in the first matchup and what it will take to beat the zone this time around. The junior forward emphasized rebounding and discussed his lessons learned from the last Duke game in February. On CBS Sports HQ, college basketball writer Matt Norlander breaks down the final seconds of the Miami-UNC matchup. The senior point guard took an unorthodox path to the North Carolina men's basketball team. The head coach of the North Carolina Tar Heels discussed Jim Boeheim's unique style of defense on Tuesday. UNC junior Kenny Williams talks about the importance of finishing strong heading into the ACC tournament. The head coach discusses his strategy to rarely call timeouts. The head coach talked about the difference between current Louisville head coach David Padgett and former coach Rick Pitino. The junior Tar Heel wing discusses the UNC-Duke rivalry and Thursday night's game against the Blue Devils at the Dean Smith Center. The senior Tar Heel point guard discusses the UNC-Duke rivalry and Thursday night's game against the Blue Devils at the Dean Smith Center. The junior Tar Heel forward discusses the UNC-Duke rivalry and Thursday night's game against the Blue Devils at the Dean Smith Center. The head coach discussed the progress being made by the senior wing and the sophomore point guard. The head coach discussed some of the progress made by the two freshman bigs. Description: The senior wing spoke to the media before UNC faces Pitt on Saturday in Chapel Hill. The junior forward spoke to reporters following UNC's loss at Clemson on Tuesday. The graduate transfer scored 32 points on 10-of-18 shooting in UNC's loss at Clemson on Tuesday. The senior point guard spoke to reporters following UNC's loss at Clemson on Tuesday. The Tar Heels have struggled at times to defend against three pointers. Here, transfer Cam Johnson discussed what has gone wrong there. The Tar Heels shot just 4-19 on three-point attempts on Saturday in Chapel Hill in a four-point loss to the Wolfpack. The senior scored 22 points on Saturday in UNC's loss to NC State. The junior guard hasn't shot as well in recent games, but he hasn't let that affect how he plays for the Tar Heels. Tar Heel head coach no longer motivates through fear and harsh punishment. Head coach talks about the importance of the UNC-NCSU rivalry. Undersized Tar Heels will be tested by the Wolfpack front court. The senior guard spoke to reporters following Monday's loss at Virginia Tech. UNC head coach Roy Williams teaches and stresses rebounding constantly to the big men. The Tar Heels looked out of sync at times offensively but still found a way to defeat the Yellow Jackets. The senior point guard discussed having his jersey retired after watching Justin Jackson go through the jersey retirement ceremony. The transfer wing had 21 points tonight for the Tar Heels in their 87-79 victory over Clemson on Tuesday night. The Tigers went on a big run at the beginning of the second half. The junior guard explains what the Tar Heels did to respond. The junior forward discussed who was the best shooter off the dribble, off the pass and from the pick and roll following UNC's 87-79 victory over Clemson on Tuesday night. The Tar Heels opened with a small lineup on Tuesday against Boston College and ending up defeating the Eagles by a final score of 96-66. Johnson was inserted into the starting lineup and played well, setting a career high in points. UNC beat Boston College 96-66. The forward had 32 points and 18 rebounds against Boston College on Tuesday night in the Smith Center. The head coach discussed how he makes lineup decisions in a press conference on Friday, January 6th. The junior guard discussed how the team is feeling following a 61-49 loss to Virginia. North Carolina turned the ball over three times at the halfcourt mark in Saturday's loss, which angered the head coach. The Tar Heels turned the ball over 19 times on Saturday. The junior guard discusses how Virginia's great defense manifests itself on the court. The head coach also discusses how he wants his players to interact with the referees during games. The head coach of the Tar Heels discussed his team's intensity on the court at Friday's press conference. The senior guard detailed UNC's final play in its 81-80 loss to Florida State on Wednesday. The senior wing spoke to reporters following UNC's 81-80 loss at Florida State on Wednesday. UNC outscored the Demon Deacons, 8-0, over the final 2:00 of Saturday's ACC-opening win. The senior point guard's floater with 10.3 seconds left helped UNC past Wake Forest on Saturday. The UNC grad transfer detailed the coaching staff's approach to learning about the upset loss on Wednesday. UNC freshman guard Jalek Felton scored 12 points and dished out five assists in the win over Ohio State on Saturday. The transfer made his debut with the Tar Heels on Wednesday night. UNC lost 79-75 to Wofford, but Johnson finished with 10 points. The senior point guard took it upon himself to say something in the locker room following UNC's loss to Wofford. The head coach spoke to the media following UNC's loss to Wofford on Wednesday evening in Chapel Hill. The freshman point guard scored 15 points on Wednesday night in UNC's 104-61 win over Western Carolina. Six Tar Heels scored in double figures in UNC's win over Western Carolina on Wednesday night in Chapel Hill. The head coach of the Tar Heels spoke to the media about the key areas in which his team needs to improve in between games. The head coach of the North Carolina Tar Heels discussed the shooting performance of his senior forward. The freshman guard played well late in UNC's 97-73 win over Tulane on Sunday. The freshman center had nine points and did not miss a shot from the field on Sunday against Tulane. Juniors Kenny Williams and Luke Maye were not ranked in the Top 100 of many recruiting rankings as high schoolers, yet are playing well now. The guard finished with eight points in 13 minutes of action in North Carolina's win on Friday night. The junior forward finished with 24 points on Friday night in Charlotte. The senior guard finished with 27 points on Friday night in UNC's 85-75 win over Davidson. The Tar Heels held Michigan to just 71 points on Wednesday in Chapel Hill. Luke Maye scored 27 points in Wednesday's win over Michigan. North Carolina played well in the opening minutes of Wednesday night's win over Michigan. The head coach said he coached poorly after Sunday's loss to Michigan State. On Tuesday, he explained more what he meant and what he could have done better. The point guard of the Tar Heels discussed the growing pains that Jalek Felton and the bigs have gone through. Inside Carolina's Greg Barnes and Ross Martin offer their insight following UNC's win over Arkansas on Friday at the PK80. The senior wing spoke to reporters following Friday's 87-68 win over Arkansas at the PK80. The freshman guard scored 12 points on 4-of-5 shooting in UNC's win over Portland on Thursday. The senior guard discussed Theo Pinson's ability to facilitate the offense and allow him more opportunities to work off the ball. The Tar Heel senior offers perspective on UNC's win over Stanford on Monday. The head coach discussed the improvement of his junior wing Kenny Williams. The head coach says because of injuries and unknown commodities, he doesn't know who he is going to start on Friday for UNC's season opening game. The head coach of the Tar Heels discussed the improvement made by Jalek Felton, Brandon Huffman, Sterling Manley and Garrison Brooks. The senior spoke to the media following UNC's exhibition jamboree this past weekend. The junior forward spoke to the media following the Jamboree event on Sunday in the Smith Center. The transfer from Pittsburgh played for the first time in the Smith Center and in a Tar Heel uniform. The veteran UNC guard discussed the play of the rookie from South Carolina, Jalek Felton. North Carolina's head coach discussed how UNC did in their season opening scrimmage and win over Barton College. The 2017-18 team may test the UNC head coach's long-held belief to prioritize the low post game. Cam Johnson discusses joining the Tar Heels for the 2017-18 season on media day. Inside Carolina's Greg Barnes and Rob Harrington break down the 2017-18 UNC basketball roster. Watch North Carolina Tar Heels commitment Nassir Little in action at USA Basketball.